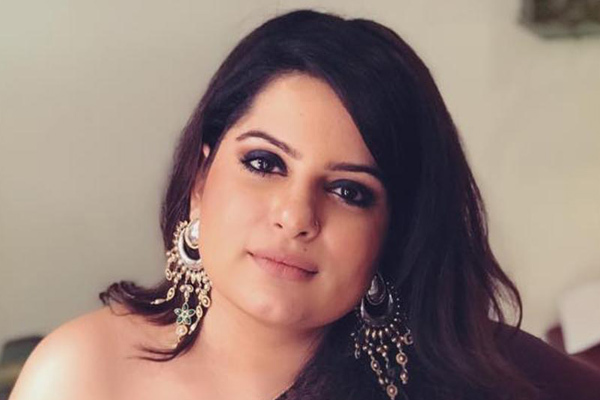 MUMBAI: Comedienne Mallika Dua says she used to get upset with all the trolls, but now prefers to ignore them. She has slammed the trolls with a music video for the Trolled series for digital channel Rise By TLC, read a statement issued to IANS. "It is easy, 'nah' fashionable, to sit behind an anonymous screen, and post lewd comments online. Bravado? Well! Yes, if you see how some of the trollers gloat when they make personal and derogatory remarks against you; for body shaming you," Mallika said. On her way of dealing the trolls, she said, "At first, I was extremely sad, not angry because when you work for something, you give your best and make it with lots of love. You hope that everyone will appreciate it but gradually you realise that these nameless, shameless idiots (trollers) job is to sh*t on people who are doing better than them. "You realise that anonymity is an all access pass and the internet is an outlet for their frustrations and insecurities to manifest themselves as hate. So, it's really like they are trolling themselves and not me." "Trolled" brings female artistes on board for three videos. They address the issue of trolling in the form of an originally composed music video. The first video features Bani J and second one is with Mallika. Discovery Communications India Premium and Digital Networks Vice-President Zulfia Waris said, "We are delighted with the response of inaugural trolled video featuring Bani J. The comments, the feedback, we received were overwhelming. The Mallika Dua's trolled video takes the discussion forward as we endeavour to create a much-needed impact on ground." Badshah Tiger, Disha Patani make Pepsi anthem look funky! MUMBAI: Actors Tiger Shroff and Disha Patani have shared screen space yet again, this time for a music video as part of an ad campaign.As part of Pepsi's 2019, Har Ghoont Mein Swag campaign, the anthem also features star rapper Badshah and has been choreographed by Ahmed Khan. MUMBAI: Budding French artist Plastic Toy and globally renowned DJ, producer and label boss DJ Snake have teamed up for Try Me - a slick mid-tempo production, whose official music video is out on Snake’s Premiere Classe label. It is Plastic Toy’s debut single. Weekend getaway: 'Safar' from Notebook is the song for those travellers! MUMBAI: The fifth song, Safar from the upcoming Bollywood movie, Safar is for those travellers, who want to escape into serene locations this weekend. Sung by Mohit Chauhan, the song will be your best mate when on a trip or a weekend getaway.